Nostalgia is a big seller, that’s obvious and Mattel is cashing in on their nostalgia heavy Google Cardboard compatible View-Master headset by launching a Batman: The Animated Series themed headset and VR Experience. The Batman themed headset and VR experience is set to launch on November 15th, with pre-orders starting now through Amazon in the US for $44.99USD (around $60AUD) with shipping extra. The viewer has distinctive Batman markings, as well as the included Batman: The Animated Series VR Experience. In the VR Experience you will take control of the Batwing, explore Gotham and the Batcave and defeat villians such as The Joker, The Riddler and Two-Face. The content is true to the original series which aired between 1992 and 1995, with co-creator Bruce Timm and writer Paul Dini who worked on the original Batman: The Animated Series, working with Los Angeles-based cloud rendering company OTOY to create the game. Even better news, the original voice cast, which includes Kevin Conroy as Batman, Mark Hamill as the Joker, Tara Strong as Batgirl and Loren Lester as Robin have also returned to reprise their roles. Warner Bros. has directed their digital studio Blue Ribbon Content to work with DC Entertainment and OTOY to bring episodic content to the ‘latest version’ of the View-Master. The Batman experience isn’t the only content coming though with other Warner Bros. titles due to get the VR experience as well. OTOY is the perfect partner to create new VR content for View-Master. They’re light-years ahead of the curve when it comes to their rendering capabilities. The Batman experience we previewed at San Diego Comic-Con was just a glimpse into the incredible things to come from this collaboration. Mattel launched the first generation View-Master last year, before announcing in February that a new View-Master, called the Viewer DLX, will launch later this year. 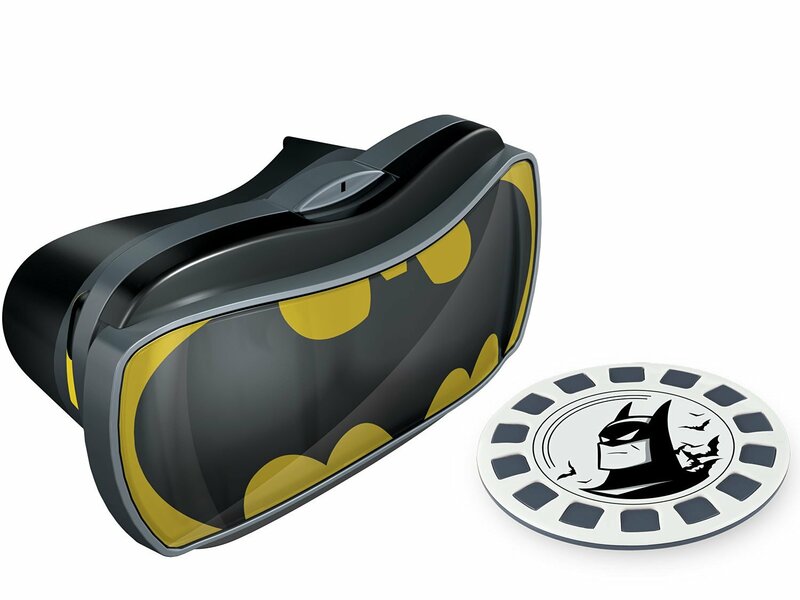 The new Viewer DLX will allow for headphones to be worn while wearing the headset and improved optics are also expected – it’s unclear if this new Batman themed View-Master is based on the new model. Content for the View-Master has been scarce since launch with Mattel releasing only three titles for the headset last year. The educational nature of those titles, which featured Wildlife, Space and Destinations, may have hurt sales a little, with kids more inclined towards entertainment. A Batman themed episodic series for View-Master would go a long way to generating sales. We’ve reached out to Mattel Australia regarding a possible Australian launch of the Batman themed viewer, so stay tuned. Looking forward to the update regarding the Aussie release. The geek in me wants this so bad.